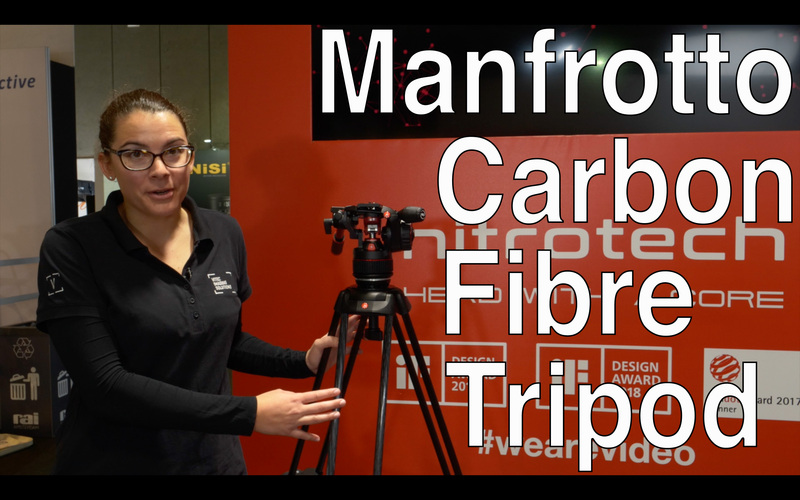 Sophia from Manfrotto presents the new carbon version of the Manfrotto video tripod. Thanks to a new locking mechanism in combination with carbon, the torsional stiffness is said to have increased by up to 50%. Manfrotto states that the payload is 20 kg with a net weight of 3 kg. The new carbon tripod will be available for 743,74 Euro from October. More info about the new Manfrotto carbon tripod also here at our Launchnews.